Reflections. – Dirty wet dog , boats and sailing. Also known as the post i intended to write last weekend. Things are moving along pretty quickly now so by the time this post gets published i should have seen the orthopaedic consultant and WABI”’ should be ashore, washed ,polished and up for sale on Apollo-duck. The dayboat will be gone and i should temporarily be back to being ‘one-boat’ steve. The original idea of this post was to have a great final away weekend with the boat, visiting my favourite anchorages and getting some nice pictures on the river. What actually happened is that i was on the river barely 2 hours before i was soaked to the skin by vermin driving jet-ski’s. Here’s the advert if you are interested, obviously regulars here will be aware of all the posts about the boat and our sailing. Back alongside just 2 hours later. It was in fact a perfect day to get those reflection effects from low bright sunshine on water and of course i was going to mess around with the twin ideas of reflective photography and ‘reflections’ about my time with the Hunter Liberty. Once WABI”’ is out of the water and all my gear is off all i will do is give her a thorough clean , polish the GRP and give her a coat of antifoul. I almost certainly won’t be sailing her again as i now have too many other things to concentrate on up to the inevitable hiatus of having surgery. Because WABI”’ has always been kept in sailing condition there isn’t much to do to be able to present her for sale properly and she will be fully accessible to view ashore. Chris has already promised me a lift-out and use of a cradle which should fit the boat such that i can have the centreboard down and work at a nice height to do the polishing…and he will lend me a power-buffer. Tamar river, near Cotehele quay. 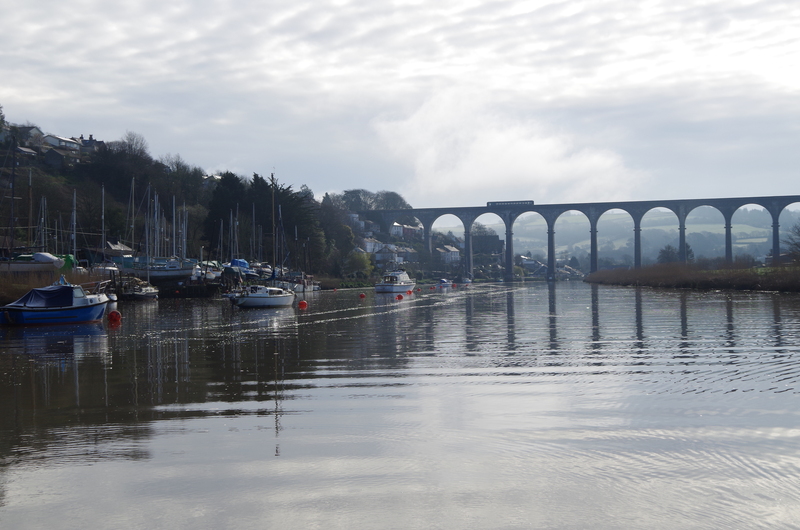 The Tamar is of course my home river, surprisingly wild and natural in it’s upper sections. Quite often i would leave the yard and just go a mile in either direction and put the hook down to enjoy some peace. Dried out on the central sandbank in the Exe estuary. The Exe was one place i had never been into and was a great find last year. Deliberately beaching the little Liberty became a regular occurrence. Tresilian river during our west-county cruise. Helford river. Easter. The Helford must be one of the prettiest rivers in the south-west. Ruan creek/River Fal.. Spring and summer. This became my regular anchorage and hideaway while i was based at Mylor. Fowey/Golant. First place i ever deliberately beached her and got out for a walk. Topsham/Exe Autumn and Winter. This was our base for this autumn and winter just gone, Mark at Trouts yard really helped us out at the end of last year’s sailing when we got stuck in the Exe during bad weather. The little Liberty was one of 2 boats that i always wanted to own, the other one being the Frances 26. Of the boats that i have owned the Liberty has possibly been the best in that she has allowed me access to many areas that i would never have been able to visit in deep fin keel boats. Often i have slipped in and out of creeks with the board and rudder up barely afloat. In the Isle De Brehat for example i actually walked her up the harbour as the tide rose. Beaching her and getting out for a walk became a common occurrence and just to say sorry to one boat who tried to follow me up Ruan creek as i went in slowly in less than 18 inches and he ground to a halt in my tracks. Isle De Brehat and just about to start walking her up the harbour. Jersey : and walked ashore for lunch. In response to a recent post one visitor asked me what was happening with the round UK voyage and whether i still thought that the boat was suitable for that trip. Well the voyage itself is on hold because of the knee problem and that is something that i hadn’t foreseen 2 years ago when i stated this project. This year i had planned to push across Lyme bay, sail the central south coast and winter the boat somewhere in Chichester. The weather that i had during late March and early April put the brakes on that such that the only intelligent thing was to head back to base. I only had a winter contract at Trouts in Topsham so i really had to move one way or the other. As it happens it worked out much better to be back at my home yard as i can get there quickly to deal with potential boat viewings. The Liberty was a very good boat for exploring the west-country and i think would have been equally as good in Poole, parts of the Solent and Chichester as i could certainly have got into the really interesting (shallow) parts that the big boats can’t reach. Poole and Chichester would have been great i think. The big problem is that the central south coast is a staggeringly expensive place to leave a boat on a visitors berth from my previous experience. I would have continued the voyage had my knee problem not happened, as it is i might well be temporarily leapfrogging the south coast and going straight to a part of the east coast and then working backwards. I almost did a spoof post on the theme of ‘keep turning right’ as it wouldn’t be such a bad plan to do a series of day passages over a couple of months to get back here from that coast. As it is i think it would be better to enjoy that area first. The second part of the question was “would i recommend the Liberty as a sailing boat” and my simple answer is yes….but. I think that most visitors to my blog will have seen what can be done with the boat. The ‘but’ is that i would say that i have pushed the boat outside its intended use and at that point the limitations do show up. I have done a couple of things with the boat that i got away with but were a bit marginal or just very uncomfortable. The return crossing from Guernsey in a stiff breeze over a big spring tide for example and certainly being out in Lyme bay in a solid F7. My view is that the boat is very capable at doing what David Thomas intended and that there are few boats like it. Far up the Tamar, about as near to the cottage as we can get in salt water. Previous Chuckle made me smile.